At Roots Dental, we combine Speciality expertise, Advanced technology and a Compassionate approach to treat every patient with the best experience possible. Our Expertise is to treat complicated cases and deliver the best possible treatment outcome to save natural teeth. Dr. Vinod Kumar graduated from Bapuji Dental College Davangere in 1999, and completed Masters in the Speciality of Conservative Dentistry & Endodontics from GDC, Bangalore in 2002. He is most sort out invited Guest Speaker in both national and international conferences and is a key opinions leader for many international dental companies. He has worked as a Professor & Head of Department of Endodontics at Rajiv Gandhi University of Health Sciences. He is one of the First to introduce the use of Surgical operating Microcope in Dentistry and has lectured extensively in teaching the use of Magnification in Root Canal Treatments. He is married to Dr. Shruthi who is a Prosthodontist and has a son named Samanyu. He enjoys going on long drives and playing golf. 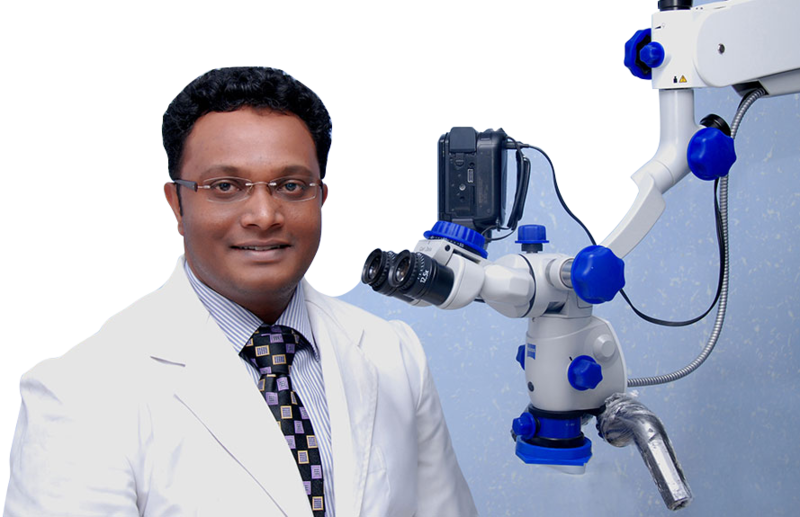 He is an active member of Indian Endodontic Society and American Association of Endodontics. His key emphasis is on patient comfort, as well as keeping up-to-date with the latest advancements in Endodontic techniques and Pain management which enables him to provide the best quality of care.